Considering it's a quiet Christmas weekend and also that the Sundance Film Festival is only 20 days away, we've got yet another Sundance related debut this morning. We were sent the first batch of photos from Cold Souls, a dark comedy starring Paul Giamatti that will be premiering at Sundance. 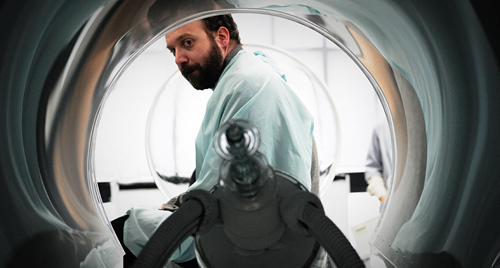 In the film, Giamatti (ironically) plays himself, an actor that during an existential crisis decides to explore "soul extraction" as a relief from the burdens of daily life. I thought the concept for this already sounded great, but looking at these photos I'm now convinced to make sure I catch this as soon as possible. Sundance programmer Caroline Libresco says of Cold Souls: "Sophie Barthes’s debut feature is strikingly original, not only for its haunting concept but for its poetic execution. 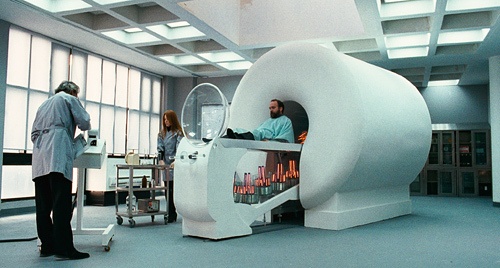 Inspired production design and lyrical cinematography create a melancholic, heightened world. 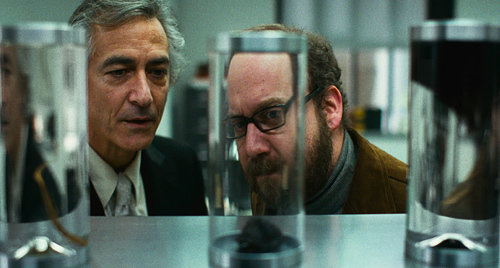 Perfectly cast, Giamatti and a gifted ensemble maneuver seamlessly through shifting ontological landscapes without ever betraying the surrealism. With this dazzling accomplishment, Barthes establishes herself as an auteur to reckon with." This reminds me a lot of Pretty Bird, an indie film that premiered at Sundance last year that also starred Paul Giamatti. It was another dark comedy about an engineer who designs a working rocket-powered jetpack. Although I liked the film quite a bit, it received a lukewarm response and didn't end up getting picked by anyone. It's currently sitting in distribution limbo, which is sad because it deserves better. 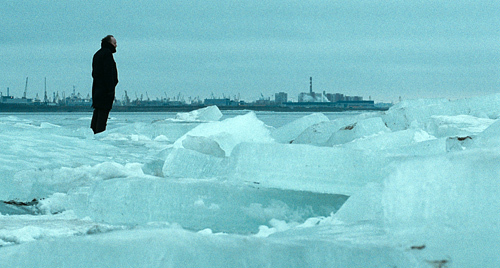 Cold Souls is both written and directed by up-and-coming filmmaker Sophie Barthes, of only two shorts previously titled Zimove vesilya and Happiness. The film will premiere at the Sundance Film Festival in January where it will be looking for a distributor. Expect to hear more about Cold Souls in 2009. I will see anything Paul Giamatti is in. Except Fred Claus. I do have some standards. Looks intrigueing, can`t wait for a trailer. John adams was bloody goddamn brillant by the way. with a set design like that, how could it not get picked up? then again, i'd previously never heard of Pretty Bird, so maybe I shouldn't get my hopes up. Maybe they should title this movie, "Not Being Paul Giamatti". 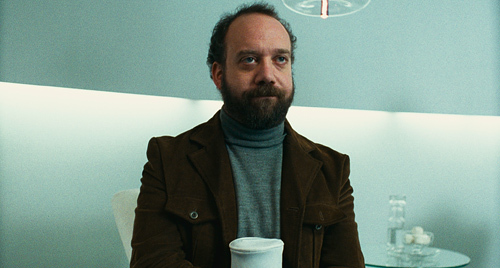 Paul Giamatti is one of my favorite actors and I don't think he gets enough credit for it. I now hope to see him as the Penguin in the next batman movie. Jordan I couldn't agree more. 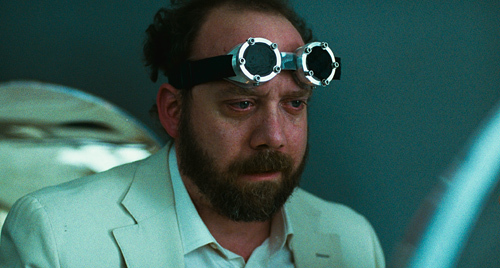 Giamatti is one of the finest actors around. My friend don't like Jordan, but I just admire his unique charming.